Data Science is a growing field. According to CRISP DM model and other Data Mining models, we need to collect data before mining out knowledge and conduct predictive analysis. Data Collection can involve data scraping, which includes web scraping (HTML to Text), image to text and video to text conversion. When data is in text format, we usually use text mining techniques to mine out knowledge. In this post, I am going to introduce you to web scraping. I developed Just Another Web Scraper (JAWS) to download webpage from URL, then extract text using regular expression or HTMLAgility Pack. JAWS has features to extract text from HTML website using regular expression and HTMLAgility. I have included the source code for all the features. In this article, I am going to explain only the text extraction using Regular Expression and HtmlAgility. regularExp can have the values like "<title>\s*(.+? )\s*</title>"
mFromTextBox.Text contains XPath for extraction. mFromTextBox.Text value can be like "//body". Eric Goh is a data scientist, software engineer, adjunct faculty and entrepreneur with years of experiences in multiple industries. His varied career includes data science, data and text mining, natural language processing, machine learning, intelligent system development, and engineering product design. 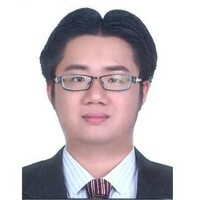 He founded SVBook and extended it with DSTK.Tech and EMHAcademy. DSTK.Tech is where Eric develops his own DSTK data science softwares. Eric also publishes 5 books at LeanPub and SVBook, and teaches the content at Udemy and EMHAcademy. During his free time, Eric is also an adjunct faculty at University of the People.